When it comes to dating, sometimes it can be hard for singles to find someone with shared interests. That’s especially true for 26-year-old Narumi Momose, who’s been dumped by every boyfriend she’s ever had because she’s an otaku. What’s a girl who loves manga, games, and cosplay to do? Well, her luck might be changing when Hirotaka Nifuji, also 26, starts working at the same place. The two went to elementary and middle school together but haven’t seen each other since. Hirotaka is also an otaku, with video games being his biggest interest. It’s one of those “will they or won’t they become a couple?” manga. Spoiler alert: they do. They also hang around the couple Hanako and Taro, who have their own share of otaku interests (though Hanako’s is much stronger than Taro’s, sometimes to Taro’s horror). The whole thing of “geek dating” has been done in manga before, with plenty of zany shenanigans. 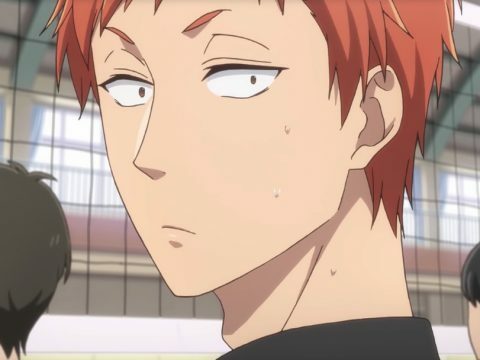 What’s interesting about Wotakoi is that it both indulges in otaku references and feels more realistic than some other geek dating manga. In other words, while some scenes will be shown in the manner of a video game screen (including the options “fight, party, run, money”), the characters don’t do any superhuman feats. In fact, a lot of their banter and the lovingly cruel jabs they throw at one another feel authentic to friends and couples. While technically being a romance manga, it’s more of an otaku manga in the sense it makes plenty of otaku jokes but has a limited number of romantic scenes. (One romantic scene, in fact, has Narumi convinced Hirotaka is leaning in to kiss her, when in fact he’s really reaching for the game controllers behind her.) The series moves at a leisurely, steady pace, based more on characters and jokes than drama or a complex plot line. 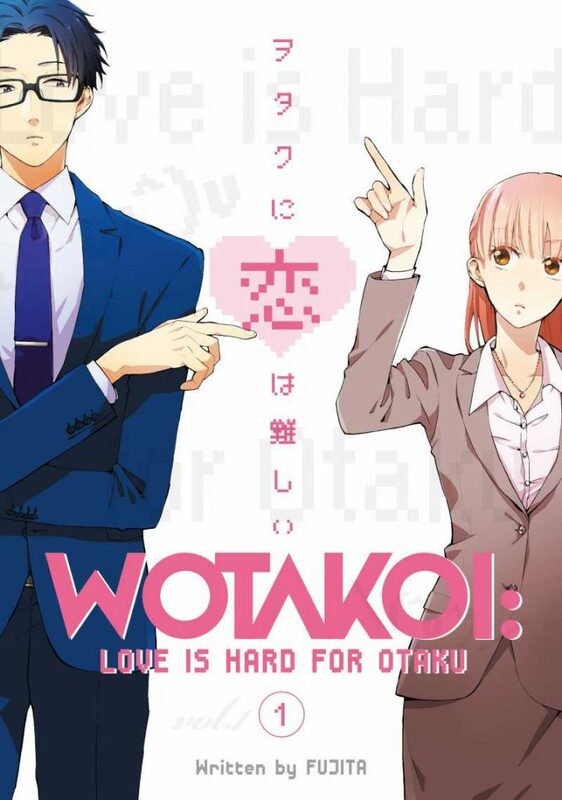 Wotakoi: Love Is Hard For Otaku is a self-publishing success story: starting as a webcomic on Pixiv, it got picked up by a publisher and now an anime version has begun playing in Japan (and on Amazon in the US). The first manga volume in America is actually made up of the first two volumes in Japan; since each of the original volumes was shorter than average, it comes out to about 265 pages in total. Because of all the mentions of moe, waifu, MMORPG, NTR, etc., people who are already fans of otaku culture will probably get the most enjoyment out of it, though it does have word definitions in the back for any unfamiliar terms. Danica Davidson, along with Japanese mangaka Rena Saiya, is the author of Manga Art for Intermediates. Along with showing how to draw manga character types in detail, the book describes how professional Japanese manga creators work, including common techniques and what drawing utensils they use.